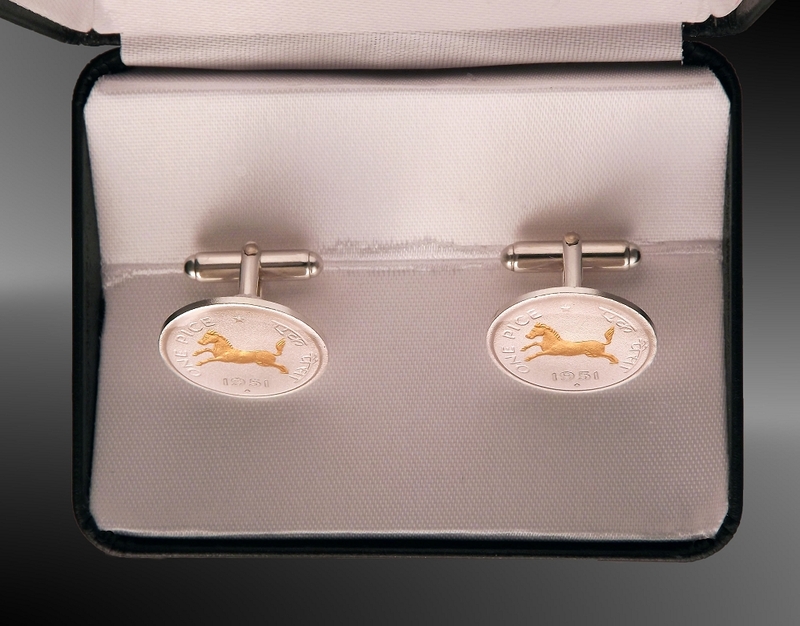 These unique cuff links feature two genuine India 1 Pice Horse coins precision highlighted in 24KT gold and pure silver. The swivel mechanisms are sterling silver. Coin surfaces are protected with Aurista's exclusive LensCote clear polymer. 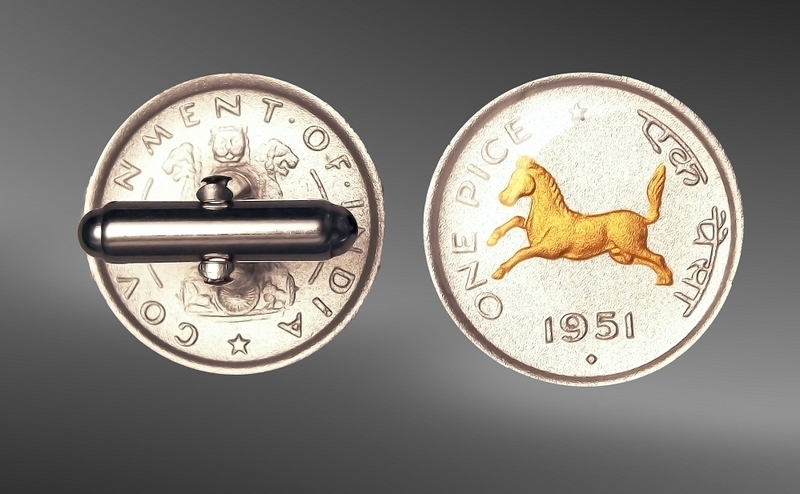 These unique cuff links feature two genuine India 1 Pice Horse coins featuring the Rhea bird precision highlighted in 24KT gold and pure silver. The round backed swivel mechanisms are sterling silver. Coin surfaces are protected with Aurista's exclusive LensCote clear polymer. Certificate of coin authenticity, uniquely numbered signet and limited lifetime warranty.